It's just the linear depth value converted to a grayscale color. Say an object is 20 units away from the camera and the camera far plane is set to 100 units. The depth value would then be 0.2, which would be displayed as RGB(0.2, 0.2, 0.2). 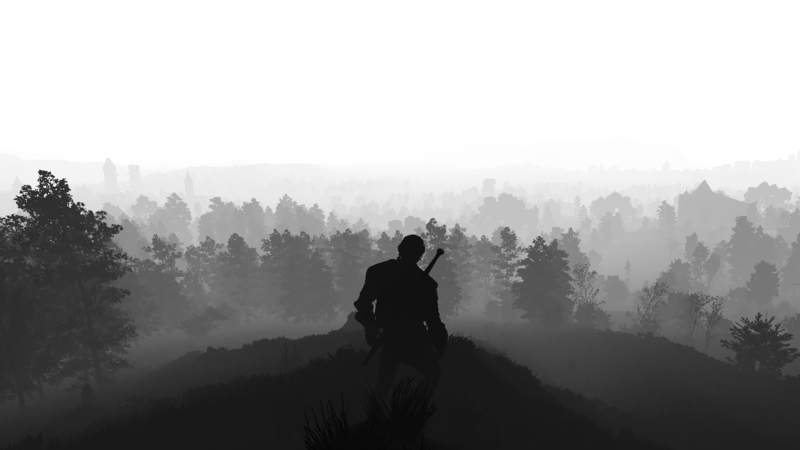 A fog effect is quite simple to achieve by the way. Here's an example: www.facebook.com/MartyMcModding/photos/931018343602786. I didn't realize Marty already made a fog I need to check Facebook more often. Im guessing the effect isn't coming to 2.0? Is the fog effect that you have created based purely on distance or does it also take in account the height like the Depth Buffer Output fog? Depth buffer doesn't include height info. Only distance to camera. Maybe you got confused because usually the top half of depth buffer is white. That's were you find the furthest distance to camera in an open sky environment. Also indoors the ceiling is usually further away from camera. Last Edit: 3 years 2 months ago by piltrafus. The tower is a bit closer due to the perspective, the rest is an optical illusion. As piltrafus said, depth is a scalar value, no height information is available. Last Edit: 3 years 2 months ago by crosire.